I'm a guy and I read a whole lot. I heard my wife tell someone about this book so I figured I would give it a try. This is a great story. I like the way the author develops the characters in such a way that you feel they are family. I especially like this story because it is based on an Italian family and includes some of the traditions and mannerisms that have stood the test of time. And I think this would be true for almost any ethnic background. It was an excellent read which was difficult to put down. It’s 1979. As Josie Capelli builds her hairdressing clientele, she’s shocked when people tell her their dirty little secrets. The more emotionally involved she becomes with her clients, the more complicated her life becomes. 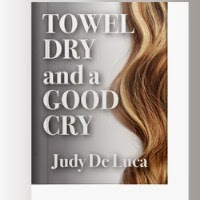 A client stalks her…a love interest leads to betrayal…her close-knit Italian family and overbearing mother push Josie to the edge of a total meltdown. And now, today, can she rise to the greatest challenge her career can give her? These are the thoughts that race through Josie’s head as she climbs the cold, stone steps to the funeral home to do the most important, scariest hairdo of all. Join Josie through laughter and tears in this heartfelt story of truth, trust and love with a tangled web of characters. Some you’ll love, some you’ll hate, and some will leave your jaw hanging open!